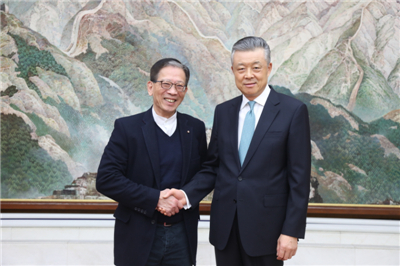 On February 8, Ambassador Liu Xiaoming met at the Chinese Embassy with Robert Neill MP, Chair of the Parliament's Justice Select Committee, and Alan Hoo Hong-ching, SBS, SC, JP, Member of the Chinese People's Political Consultative Conference and Senior Counsel of Hong Kong. Ambassador Liu noted that at present China-UK relations and their cooperation in various fields are moving forward. Over the past 20 years since Hong Kong’s return, with the successful implementation of the “One Country, Two Systems”, Hong Kong has enjoyed economic prosperity, social stability, and sound legal system, and the People’s livelihood has improved. It is regarded as the world’s freest economy for many years in a row. The Belt and Road Initiative and the construction of Guangdong-Hong Kong-Macao Greater Bay Area have brought Hong Kong more opportunities for development. Since its return, Hong Kong has been playing an important role in China-UK relations. He believed that Hong Kong would continue to contribute to the development of China-UK relations in the future. Neill made positive comments on the success of “one country, two systems” in Hong Kong, saying that the UK attaches great importance to strengthening exchanges and cooperation with Hong Kong in the judicial field. The Parliament’s Justice Select Committee is willing to strengthen exchanges with China on the rule of law, said Neill. 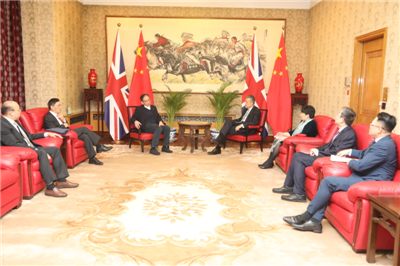 He expressed the hope that China and the UK would further enhance cooperation on the Belt and Road Initiative, and promote the in-depth development of China-UK “Golden Era”. Hoo said that as Chairman of the Basic Law Institute of Hong Kong, he had witnessed and participated in the practice of the rule of law since the handover of Hong Kong. The rule of law in Hong Kong has achieved great success, and the people have enjoyed unprecedented freedom and rights, he said. Currently, as for the misunderstandings of a few people in Britain and their prejudice against the development of Hong Kong and the rule of law, Hoo said he would like to tell the situation of Hong Kong to people from all walks of life in the UK so that the British public could understand Hong Kong in a comprehensive and objective way. 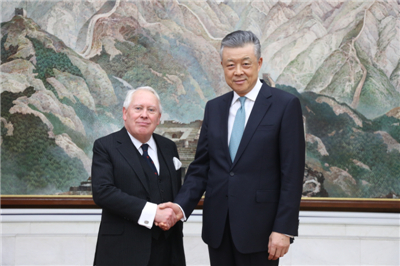 Ambassador Liu hoped that Neill and Hoo would give full play to their respective roles in helping people from all walks of life in the UK gain a comprehensive understanding of Hong Kong’s affairs and China’s development.